Reliance BIG Pictures and Madras Talkies' RAAVAN seems to have got an excellent opening at the box office. It has grossed Rs 20 crores worldwide on the opening day from its three versions- Hindi (RAAVAN), Tamil (RAAVANAN) and Telugu (VILLAIN). 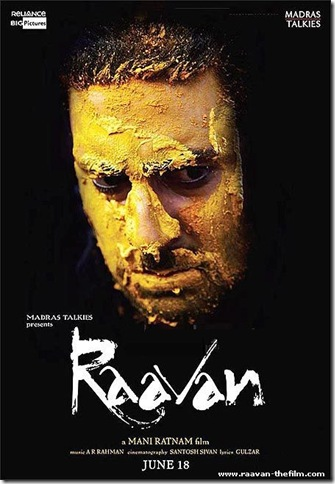 RAAVAN is India's first film to have released worldwide in Hindi, Tamil and Telugu language simultaneously. The film has opened in 2200 screens worldwide on 18th June in all its three versions. Directed by Mani Ratnam, the film is a modern-day version and a loose adaptation of the Indian epic Ramayana, in which Sita, the wife of Lord Rama, was abducted by the demon (Rakshasa) king of Lanka, Ravana. The film's score and soundtrack is composed by A. R. Rahman.